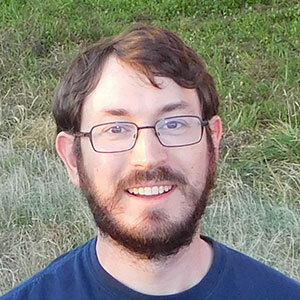 Simon Porter is Co-Investigator on the New Horizons Kuiper Belt Extended Mission and works as a research scientist at the Southwest Research Institute in Boulder, Colorado, USA. He is originally from Ontario, Canada, and studied at the University of Alabama in Huntsville before doing his PhD research at the Lowell Observatory in Flagstaff, Arizona. His research focuses on Kuiper Belt Objects and their satellites, both observing them with telescopes and spacecraft and modelling their orbits. 2014 MU69 “Ultima Thule” is now the most distant object from Earth to be visited by a spacecraft. To guide the New Horizons spacecraft to such a far-flung Kuiper Belt Object, international teams spread across the world to catch MU69 passing in front of stars from Argentina, South Africa, Senegal, and the middle of the Pacific Ocean (with SOFIA). With the help and support of national and local governments, space agencies, and a large group of dedicated volunteers and amateurs, we were able to catch three of four occultations. These enabled the very close flyby of MU69, and correctly predicted its contact-binary shape. After the resounding success of the Pluto flyby in 2015, NASA’s New Horizons spacecraft continued on to explore 2014 MU69 “Ultima Thule”, an ordinary Kuiper Belt Object (KBO). This talk will bring you along for the experience of a KBO flyby, from the first faint detection, though the deep search for satellites, and into the suddenly being flooded with images and data. The first few high-resolution images of MU69 returned will be discussed, both how we took them, and what the mean scientifically. In addition, the talk what to expect for the future, as the rest of the images and spectra are slowly downloaded.